AJIRAS journal est indexer par BNF. Le ISSN est obtenu auprès de la BNF. La BNF permet un large accé au publication dans tous les domaine de la sciences. Our mission is to develop an international platform for indexing the scientific journals of open access. AcademicKeys has compiled an extensive list of journals and professional publications (currently 25,000+). This list can be accessed FREE of charge to anyone using the AcademicKeys.com site. ResearchBib, which is providing a global and local service for researcher, is a free academic resource publishing system that is flexible, easy to use. GERN is an International organization dedicated to publishing & promoting International Journals and adoption, creation, use, dissemination, and preservation of electronic Journals. We support electronic publishing in order to enhance the sharing of knowledge worldwide. The Journals Impact Factor (JIF) provides a reflecting tools for ranking, categorizing, evaluating, and comparing various International/National Journals having ISSN published by Learning societies Universities and Institutions & Publication house..
Cosmos Foundation was founded by renowned scientists. A group of 100 scientist from various countries in different disciplines are started Cosmos (2010) with specific objective of providing quality information to the researcher. It offer academic database services to researcher. 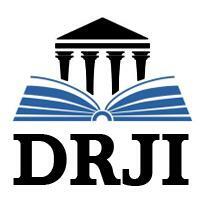 It provide impact factor and index of academic journals, books. Cosmos provides a detailed report of individual journal for further improvement of respective journal overall look up and technical aspect for better Impact Factor. nfoBase Index is a comprehensive, multipurpose database covering scholarly literature from all over the world. It is run by 'Akshantala Education and Charitable Trust' a non profit organisation. InfoBase Index holds indexed records from active, authoritative journals. With InfoBase’s broad-ranging, authoritative coverage, you can be confident that you are not missing any critical information. You are welcomed to Unique Link Identifier Official website. The aim of ULI foundation is to facilitate the researches and publisher with technology in order to stores their articles links in digital form. The permalink if is deleted in case of server crash or due to some other reason, our system stores the Unique Links and the author or the published has to keep only the ULI. In case the permalink is deleted or changed our system will redirect the assigned ULI to new permalink. Unlike others, the published can keep the record of all their ULI and can also change the link and connect with the ULI. Our system is user friendly and easy to access and operate. ULI Foundation is a non-profit organization with the aim to provide best service to the publishers. The difference between other linking system and ULI is that we provide the service in about 50% less cost and gives a number of free ULI to the publishers. Also the annual renewal fee is half as compare to other linking systems. The ESJI provides indexing of major international journals and proceedings. Author can get information about international journal impact factor, proceedings (research papers) and information on upcoming events. All the journal pages have pointers to Web pages of the publishers which are integrated into the ESJI stream pages. ISRAJIF is a measure reflecting the average number of citations to articles published in journals, books, patent document, thesis, project reports, news papers, conference / seminar proceedings, documents published in internet, notes and any other approved documents. The CiteFactor server provides indexing of major international journals and proceedings.The purpose is to increase the visibility and ease of use of open access scientific and scholarly journals. In addition, CiteFactor is working on next major task to link publications with all the publications in their bibliographies, thereby making possible a wide variety of publication and citation reports. The Global Impact Factor ® (GIF) provides quantitative and qualitative tool for ranking, evaluating and categorizing the journals for academic evaluation and excellence. This factor is used for evaluating the prestige of journals. All article published in AJIRAS Journal are distributed under the terms of the Creative Commons Attribution License http://creativecommons.org/licenses/by/4.0/legalcode), which permits unrestricted use, distribution, and reproduction in any medium, provided the original work is properly cited. All article published in AJIRAS Journal Will Be On “Open Access” Terms. All publications shall be published under the Creative Commons Attribution 4.0 Generic License (CC BY 4.0) (http://creativecommons.org/licenses/by/4.0/legalcode) or an equivalent license. This will permit all users of the publication to copy and redistribute the material in any medium or format and transform and build upon the material, including for any purpose (including commercial) without further permission or fees being required. Query result:  The operation completed successfully.